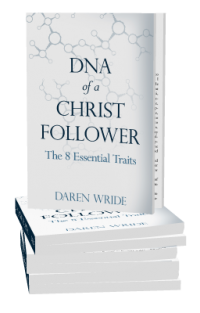 Discover the 8 Essential Traits of a Follower of Jesus Christ. Interested in a Small Group 10-Pack or bulk order? Go to the Store. The word Christian, once a powerful descriptor of a peculiar people, has become meaningless. It no longer identifies those who have aligned themselves with the person of Jesus Christ. Imagine a world in which Christians again looked like Jesus. This book will challenge you to be a disciple and a maker of disciples!